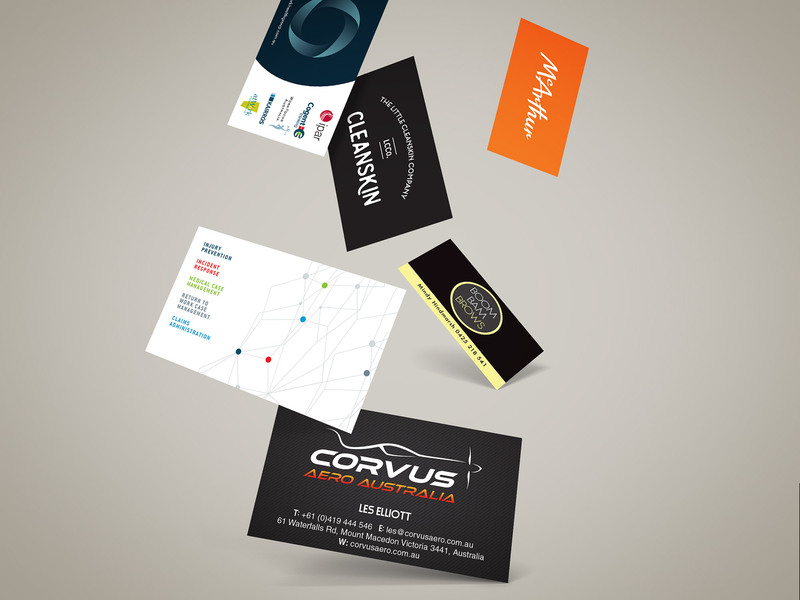 MOO Marketing and Design – moo.com.au – print over 1M business cards annually for small business, large business and start ups. We provide high quality print options for those that are serious about the impression they create and their business marketing. All printing is completed in Australia rather than off shore. We’re also based in Melbourne and you can talk to us. We can give you recommendations on design, stock and finishes! Our quality is guaranteed. Your print job is not batched up with a bunch of others so you have colour consistency and trimming that is spot on. We can use your design or we offer specialist graphic design services that bring your brand to life. As a full service marketing agency, we understand the role that graphic design, creative and branding have in marketing your business. MOO Marketing and Design has a team of graphic designers that are guided by experienced business marketers. We make sure that creative, designs and print outcomes are relevant to your target markets and are unique. If you need business cards printed or would like to discuss options or graphic design services we’d love to here from you. Contact us today!